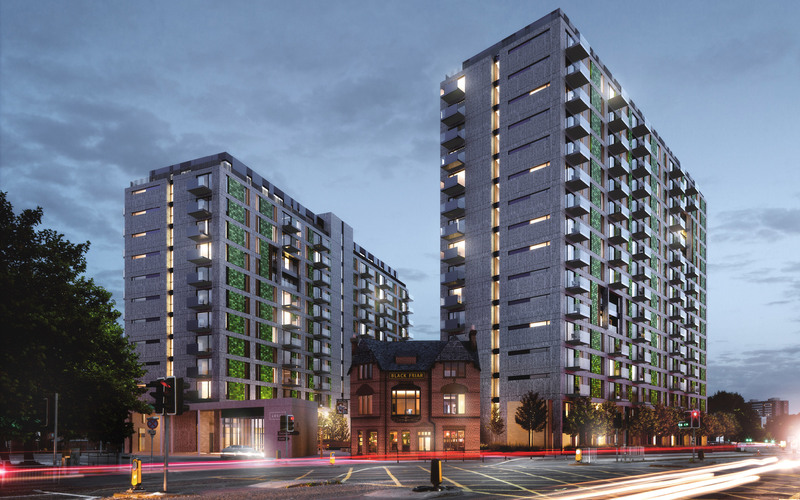 Trinity is a 380 apartment private residential scheme at the junction of Trinity Way and Blackfriars in Salford. 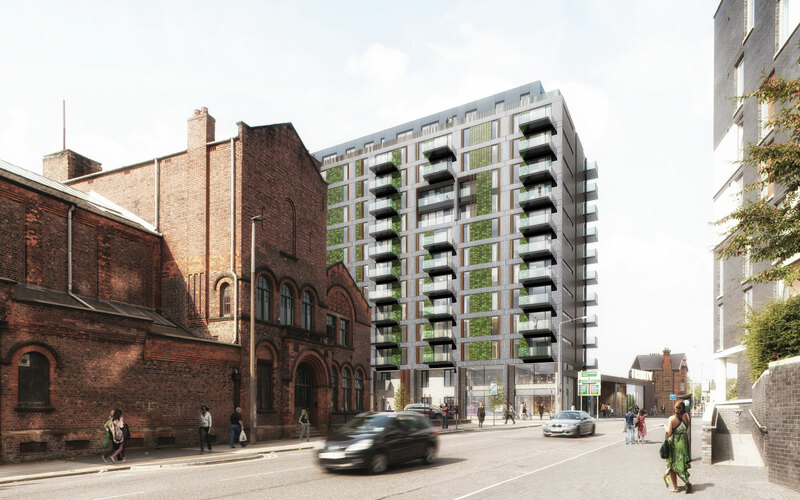 The scheme will deliver a mix of one, two and three bedroom apartments across two blocks, with the grade II listed Black Friar pub currently on the site absorbed into the development. 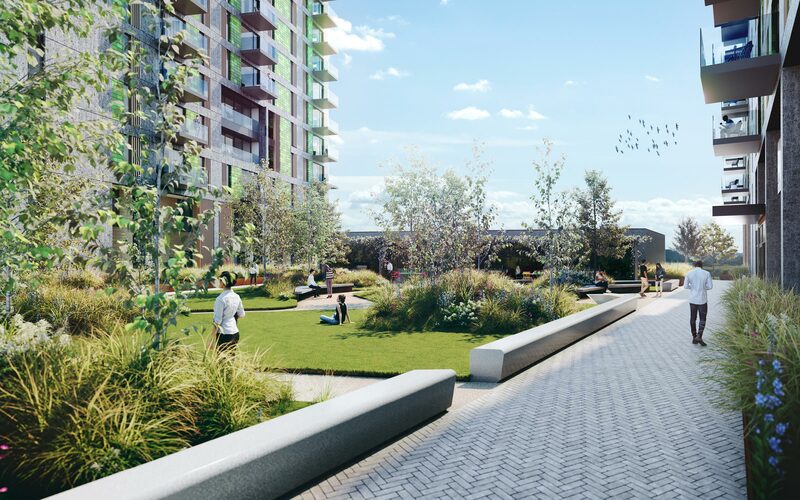 The pub would become the main entrance into the scheme and provide communal facilities such as a resident’s party room, cold storage and management offices. There will be five town houses with front doors on Garden Street. 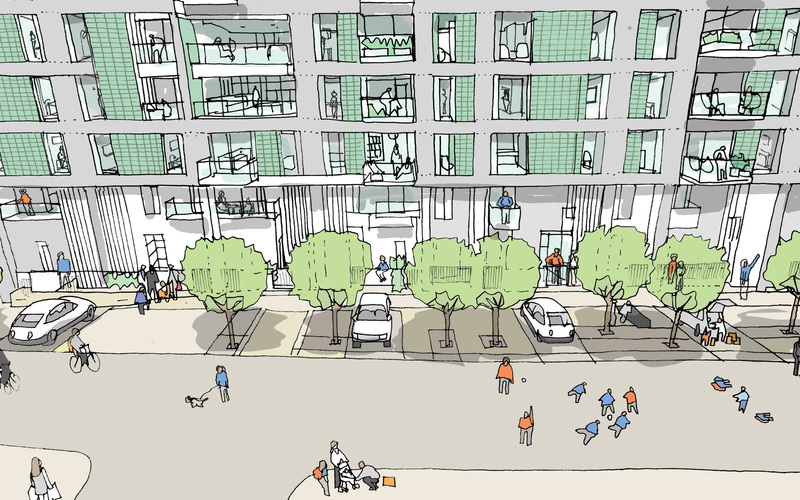 The space between the buildings will take the form of an urban orchard. A new public square addresses the rear of the Black Friar pub. The square is flanked by commercial and retail podium buildings. There are a variety of apartment sizes and layouts. 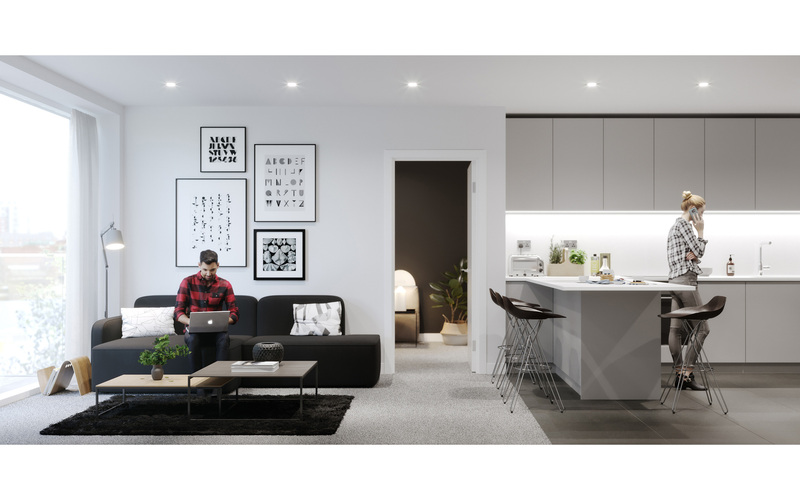 5plus have also designed the interiors of the apartments, common areas and amenity spaces, including reception, laundrette, cinema room, fitness studio, bike storage and car parking which is located in a basement.